Z1 Compact is small brother of Z1! 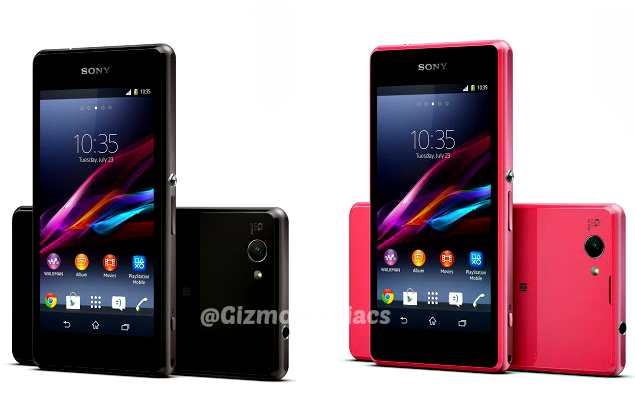 Sony finally launched Sony Xperia Z1 Compact cousin of Japanese model Sony Xperia Z1 mini lauched earlier. Sony Xperia Z1 compact is a younger brother of Xperia Z1 in terms of screen rest it has same specs and will go on sale from February. Sony Xperia Z1 Compact comes with 2.2GHz quad-core Snapdragon 800 processor running on 4.3-inch screen which has 1280×720 pixel resolution. The smartphone runs on 2GB RAM with 16GB onboard which is expandable up to 64GB. Xperia Z1 Compact comes with Android 4.3 Jelly Bean out of the box powered by 2,300mAh battery. The key feature of this smartphone is 20.7-megapixel rear camera Exmor RS sensor with BIONZ image processor engine, LED flash and 2-megapixel front facing camera. Xperia Z1 Compact is also water proof and dust proof. Connectivity options in this handset are 4G LTE, 3G, Wi-Fi, Bluetooth 4.0, GPS, MHL, and NFC with 2,300mAh battery power. It will be available in Black, White, Pink, Lime and Yellow colours. Sony Xperia Z1 Compact will go on sale from February.